In the summer of 2010, Villalobos, the apparent legal owner of much of the Tenacatita beachfront property took over the area, expelled the proprietors and razed many of the structures. The highway to the beach was blocked off by police in spite of Mexican law that allows public access to all beaches. Angry residents prepare to breach the chain link gates erected across the highway in this YouTube Video. There are many videos of the confrontation in which the police used pepper spray, even on the news reporters. 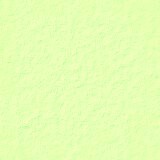 There is an online Tenacatita group at CyberPueblo. CyberPueblo has released this video taken with a hidden camera illustrating the reaction of police to someone attempting to visit Tenacatita beach by boat. 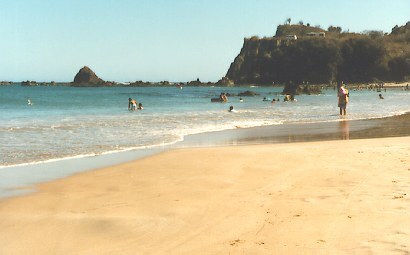 By Mexican law, beaches are open to the public. And according to the January 2012 comment, access is now possible with some hassle at the checkpoint. Our local Canadian snowbirds encouraged us to go for the daytrip, warning us of no services. So we packed up ice chests and drove in. We did get locked in that checkpoint, and they asked for our driver's info only (there were three more of us) so his driver's license was enough. They wanted to glance in the trunk, and they took the beer but held it, untouched, for our return! (We realized that had we stuck the beers down in the wives' bags, they never would have known/cared, apparently!) We enjoyed a lovely day first at the east beach, which had maybe eight of us, sometimes just us....and is so easy to snorkel with its soft current. Then we walked over the saddle to the west bay which is quite fabulous, but has an abyss of a drop-off, so we just hiked around and admired all the wildlife and sea shells. Just inside the check point is a huge house with a bar set up for "the employees" said the person there. The police are not federales nor state, but an auxillary unit of the state police. News at Jolanda's is that the supposed owner has them in his pocket and is paying their paychecks for all of this, hoping that everyone will lose interest and he can appeal the court case he has now lost. So GO THERE!!! Just want to let you know that Villalobos (who kidnapped Tenacatita beach last August) is NOT the apparent legal owner. He claims he owns 42 hectares which is mostly on the ocean beach, called El Palmar, but he has taken possession of 90 hectares, including the big beach at Tenacatita, which he has absolutely no legal right to claim. The lawyers working for the people say it's questionable whether he even has legal right to the 42 hectares he's claiming. Without the help of the governor he would never be able to do what he's doing. Thanks for your great website, and hopefully soon the beach will be open again as there's been a federal order from PROFEPA to take down the gate and open the beach (which Villalobos has totally ignored). Yesterday a friend and I went out to Tenacatita, more just to see what it actually looks like. There is a real roadblock made up of two fences about 3-4 meters apart. Reminded me of something like Checkpoint Charlie. Big signs "Propiedad Privada", but the guards 6 or 8 of them, were all Estetales, State Police. One of them had his hand in a bag on his stomach the whole time. My friend was able to persuade them that we didn't expect food or banos or services of any sort, just wanted to see the beach. ....they let us in!! ALL the restaurants are gone. Leveled. Only things left standing are the yellow hotel just off the beach, the big pink hotel down a ways and the newer hotel/rest. at the end under the big hill dividing this beach from the camper beach on the other side. On top of that high point was another armed observation station manned by 2 more police. They had their glasses on us and probably a rifle. Around, here and there we saw more State Police and their trucks. It was very sad for us. So many wonderful memories are connected with that place, and now it is gone. Stopped in Rebalsito....boy, are they hurting. Storekeeper and wife said they had no business at all. The man indicated that they were, "Getting ready"....oh, boy. Nobody's giving up, yet. Tenacatita is a small beachfront settlement on the Costalegre (coast of Jalisco) located about 27 miles northwest of Barra de Navidad. A 9km paved road leads from the intersection with coastal highway 200 (GPS 19°20.78'N 104°52.75'W) to Tenacatita. It's 30km from the highway intersection to Melaque. Bring your insect repellant. 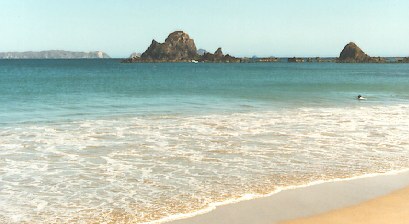 Just to the west is Playa La Mora. Tenacatita, like several other little towns in this area, has a beautiful, tranquil, gently sloping beach. On the day these pictures were taken, the winds were strong which made the waves high in other places yet it remained calm here. It's spring break and there do seem to be a few people that know about this beautiful spot. The beach is about a mile long but most people congregate here at the west end where the restaurants are. Due to the takeover of the property by the apparent legal owner, this accommodation information is now historic in nature. Additional accommodations are available in Tecuán, a few miles to the west and in Boca de Iguanas, to the east. Reservations are recommended for Easter week and Christmas week. During the remainder of the high season (winter) there will normally be many vacancies although some hotels will be full at times. Informal Trailer Parking past the west end of the beach at Playa la Mora. Las Villitas Club Deportivo y Marina (317) 385-6063 (cellular). Can be booked through Las Villitas in Barra de Navidad: (315) 355-5354, 355-7079, 355-7078. Located on the beach. Pool (sometimes clean, sometimes green, soupy water), balconies, rooftop terrace. 9 apartments with kitchen, tub & shower, 1 king and 1 queen bed in each. 1 smaller unit with kitchen, shower, queen-sized bed. Solar powered. Paraíso de Tenacatita 044 (314) 102-0389 (cellphone). 23 rooms on the beach, some with AC. Clean, basic. ~US$30-$40 Email: dobie@prodigy.net.mx. (12/07). Don't know the name Rooms with kitchenettes, pool. ~US$100. (3/01). Due to the takeover of the property by the apparent legal owner, this restaurant information is now historic in nature. The restaurants have been destroyed. Rollo de Mar is what this dish is called. There are a number of restaurants on the beach at Tenacatita and they all serve this specialty. 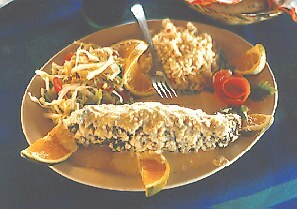 This one was prepared at Restaurante Chito. This is a fish filet stuffed with chopped shrimp and octopus in an almond sauce, wrapped completely in bacon and covered with more almond cream sauce. 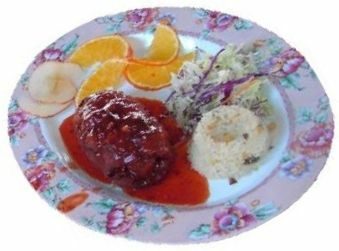 It is a rich and flavorful dish, just wonderful. As the story goes, it was a chef, Silvestre "el gato" who had worked on a cruise ship who taught Maria del Rosario of Restaurante Sirenita how to prepare the dish. As it was very popular with the customers other restaurants began to prepare it as well. But results may vary; I had a similar dish at Seamasters in Barra de Navidad that could not compare with this one. It's worth a trip to Tenacatita just to try this. 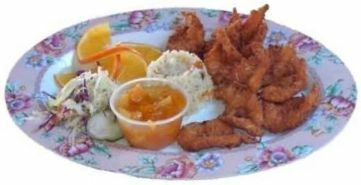 The camarones tropicales, found at Restaurant Cato, are sprinkled with coconut, breaded and fried and come with a mango-pineapple-guava salsa. The filete paty, also found at Restaurant Cato, is a creation of Lola's daughter Diana. It's a fish fillet stuffed with shrimp, bell pepper and cheese, breaded and fried, and served with a diablo (hot and sweet) sauce. It's big enough to be shared! Restaurant Cato A local favorite run by Cato and Lola. When you get to the beach, if you turn to the left, it's the first restaurant on the right, just before Restaurant Chito. Restaurant Chito When you get to the beach, turn to the left and the restaurant is not far. Fiesta Mexicana Preferred over Cata and Chito by one reader. Internet Internet place in El Rebalsito on the paved road leading to the beach. Located on the block after Morenita Mini Super, same side of the road.